Featuring the signature GG logo. After bringing back the popular New York Yankees logo on its freshly released GG Supreme Backpack last week, Gucci drops off another luxe accessory by way of its metal-coated Ghost Ring. The band is made of 925 sterling silver and is defined by its various engravings that incorporate the label’s logo along with the artwork by artist GucciGhost. GucciGhost’s signature GG print is featured all around, and is even used to make up the “eyes” on the face of the ghost illustration. 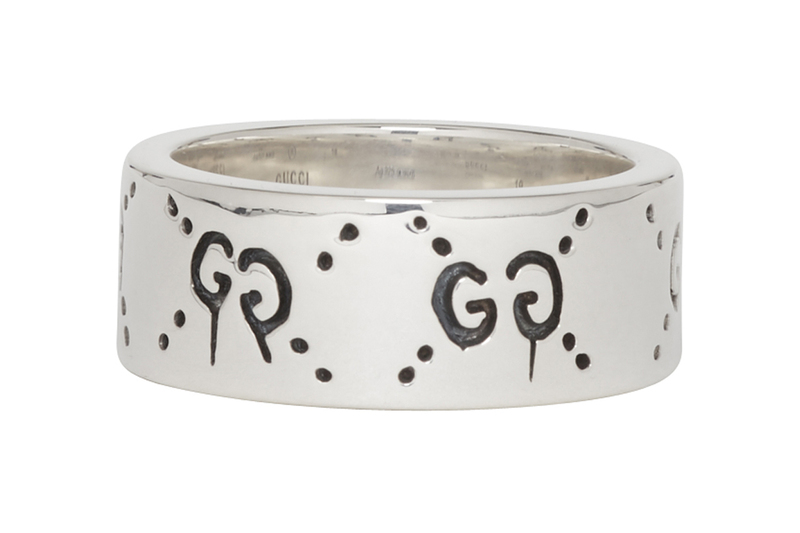 The inner band is also marked by brand imprints, with the “GUCCI” emblem etched along the interior. Priced at $235 USD, the Silver GucciGhost Ring is available to purchase now at SSENSE’s webstore. The Baton Rouge superstar links up with PnB Rock for his latest video.